Story: Enthusiastic, big and a little clumsy, Po is the biggest fan of Kung Fu around...which doesn't exactly come in handy while working every day in his family's noodle shop. 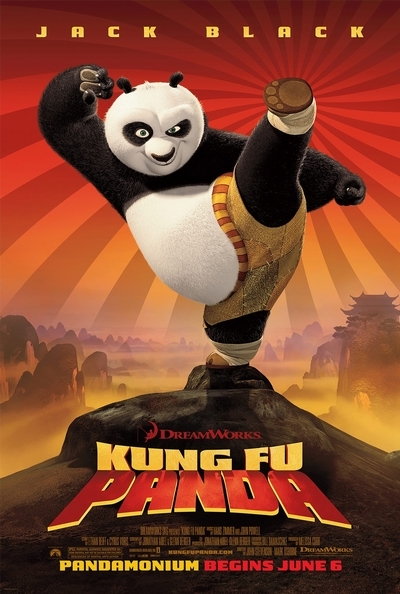 Unexpectedly chosen to fulfill an ancient prophecy, Po's dreams become reality when he joins the world of Kung Fu and studies alongside his idols, the legendary Furious Five - Tigress, Crane, Mantis, Viper and Monkey - under the leadership of their guru, Master Shifu. But before they know it, the vengeful and treacherous snow leopard Tai Lung is headed their way, and it's up to Po to defend everyone from the oncoming threat. Can he turn his dreams of becoming a Kung Fu master into reality? Po puts his heart - and his girth - into the task, and the unlikely hero ultimately finds that his greatest weaknesses turn out to be his greatest strengths.